Unfortunately, Mr. Weil misses some of the most important incentives that drive long-term equity holders, including index funds. In fact, index funds are likely to be superior to active funds for effecting good long-term corporate governance. Benz: How about on the governance front. I know you and I have talked about this over the years, about whether passive products are more limited than active managers from the standpoint of influencing corporate governance of the companies they own. What do you say to that assertion that passive products because they can’t walk away from some of these companies altogether don’t have that ultimate weapon that active managers do have? Bogle: I’d say traditional index funds are the last, best hope for corporate governance. Benz: And why is that? Bogle: That’s because they’re the only true, long-term investors. Corporate governance should be based on long-term factors affecting the corporation, not a bunch of traders who want you to report higher earnings, gonna try and get on your board for a minute, and in a moment … I don’t know how they’re this smart to do it, but realign the entire company and then all will be well. It just doesn’t happen. In fact, the reverse is more likely to happen. So, I don’t see … The old Wall Street rule was if you don’t like the management, sell the stock. The new index fund rule is if you don’t like the management, fix the management because you can’t sell the stock. The critique of index funds and corporate governance comes from the mistaken idea that it is only by buying and/or selling a security that you can influence management and the allocation of capital. While there is no doubt that individual actions in the secondary market affect the price of a security, and the price of a security can affect capital allocation decisions, it is a relatively indirect link. Activist shareholders typically use these actions, but as a means to more direct control, either influence or direct membership on the board of directors. Unfortunately, because discretionary investors have the power to walk away and sell a security, there is a weakness in their commitment to fixing a company. While some of the best activist private equity funds might spend years working to improve the returns of a company, most active investors show no such patience. Index funds effectively operate as permanent owners of the business, so their incentive is to work to improve the performance of each and every company in proportion to their market capitalization. Perhaps one of the most compelling aspects of index funds as investors is their reliability as a patient source of capital. There is no doubt that the short-term focus of current capital markets is a problem for public companies looking to optimize their performance for the long term. Very often, significant changes in corporate strategy take years to implement, and can often result in negative short-term performance in exchange for the potential for significant long-term upside. Unfortunately, if most investors hold securities for short periods of time, management can be pushed for making decisions that are optimized for long-term value creation. In fact, this problem is the focus of Eric Ries’ new startup, the Long-Term Stock Exchange. For example, as of 2013, the average active mutual fund had a turnover of over 85% (according to Morningstar). This means their average holding period for a stock was barely over one year! They are not long-term investors, and their financial interest is incredibly biased towards short-term performance. They are not going to support any solution to a corporate problem that might hurt short-term performance. This is not just a problem for active mutual funds. Private equity buyout funds, based on their structure, predominantly look for returns often within a relatively short number of years. Because they often use debt to leverage their buying power and maximize return on capital, their playbook also includes damaging short-term actions like the payoff of significant one-time dividends that can starve a business of long-term capital. Index funds provide long-term, patient capital that is well aligned with the desire to see companies optimize their corporate governance for maximum shareholder value. The time frames of active investors are just too short to align with management changes and strategic choices that may not pay off for years, if not decades. Over the past few years, more and more investors are convinced there is an incredible opportunity for blockchain-based products and platforms. 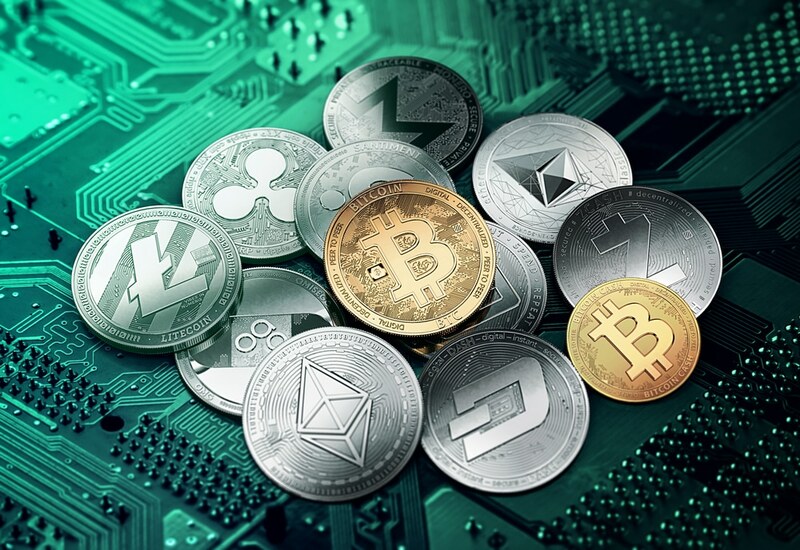 Though cryptocurrencies have the same liquidity as public companies, they are based on far younger organizations and will take time to develop. Index funds can act as a stabilizing force amidst the volatility, especially if index funds see continued net-positive inflows like their brethren in equity and debt assets. Amidst all of the volatility, index funds will likely also have a role to play as aggregators of long-term holders of cryptocurrency. Index funds, given their incredibly long time implicit frames, are aligned to advocate for governance and development that will maximize the long-term value of the ecosystem. Index funds may not control the marginal price of these assets, but they can provide a structure for a large pool of investors to have a long-term influence on the direction of these platforms. Whether the future belongs to proof-of-work systems, proof-of-stake, or other alternatives, my guess is that we’ll find that, over time, that access to long-term, patient capital is a huge benefit to products and platforms in crypto. While there is no question that active investors can have a positive impact on the governance of corporations, it would be foolish not to see the additional advantages that index funds bring to the financial ecosystem. Index funds may actually be the missing form of long-term, patient capital that we’ve needed in corporate governance to better align companies with the creation of long-term value for all of their stakeholders.